This is a true knot of the umbilical cord. 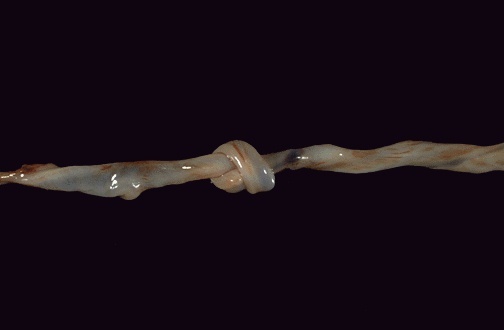 Such knots are more likely to occur with abnormally long umbilical cords that may develop with increased fetal movement. Such a knot could constrict the blood vessels and lead to fetal demise.